What is one of our favorite indulgences in life? Chocolate! There are so many kinds of chocolate from dark to milk and every kind in between. But there is one chocolate that has become a weakness for us. 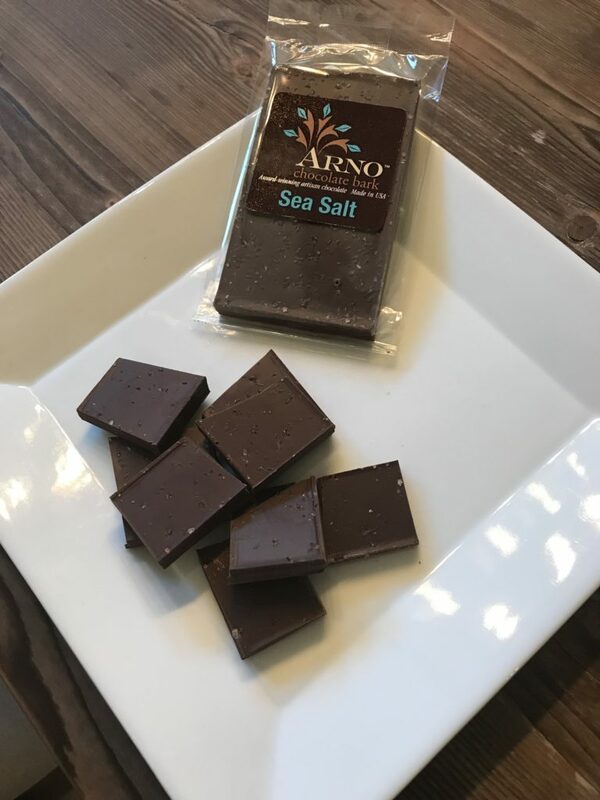 We would like to introduce you to a local Idaho Company: Arno Chocolates. Hand Crafted in Twin Falls, their decadent chocolate bark is sure to leave your sweet tooth satisfied. The best part is almost all of their flavors are all natural and are made from premium ingredients. After you have tasted your first bite of Arno Chocolate Bark your mouth will love you. No matter what kind of chocolate you crave Arno Chocolates has a flavor for you! Our personal favorites are Sea Salt, Caramel Crunch and S'Mores. We have a jar of Arno Chocolate Bark broken up into bite sized pieces on our kitchen counter for when we have friends over and once our friends try it, they can't seem to keep their hands out of the chocolate jar. Okay and we might occasionally indulge too! The owners of Arno Chocolates are such great people. Not only do they hand craft every batch of chocolate but they travel the west coast doing demo's of their delicious chocolate. They have the best job in the world, making people happy through chocolate!